Home » Do you have a success story to share? 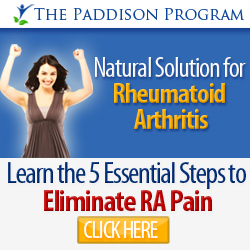 MyRADiary.com allows me to share my stories on this journey I’ve walked with Rheumatoid Arthritis (RA). On the road, I have crossed path with many of you who shared similar understanding of RA the ‘unconventional’ way and too discovered the light at the end of the tunnel, which was almost always seemingly inky dark to begin with. Your stories of how you braved through the hardships, struggles, pains and floods of mixed emotions and finally achieved great reliefs using varied holistic/natural/alternative treatments have deeply inspired me; and all the more, I like your achievement and success story be told and spread out to give hopes to people that at any stages of status they have with RA, it is always never too late to be open to new measures. You wouldn’t know which may work or not work until they have been tried. I love to keep these inspirations going, not only with my stories but with yours too. If you have experienced drastic improvement in your RA condition, or if you have achieved partial or complete reversal or remission of the RA condition, I hope that you can share your journey with us; what you’ve done or still doing, and what did it take or how have you managed to achieve this. Step 1: Let me know who you are. Step 2: Let me know your answers to the following. Have you been on any conventional medicines? How have they helped you? Any side effects? What alternative/holistic medicines or treatments have you used? Lifestyle changes – what is your lifestyle like? Dietary changes – what is your diet like? Exercise routine – what do you do and how regular do you workout? How has RA changed you overall? Anything you wish to let us know? Step 3: Email your story to me. Please email to me at myradiary.diana@gmail.com. Once it is received, I will let you know when it will be published. Last but not least, a great story shall not be left untold . The very act of stepping out to share is by itself a virtue of courage, kindness and empowerment. And I thank you for doing that. 1 Comment on Do you have a success story to share? Ihad been diagnosed with SLE 4 years ago.After reading the holistic healing report, I realized that dairy products and gluten were the culprits in my case. Luckily it was very early in the course of illness I realized this and since the time I have stopped them in my diet completely I have had no flares, the fatigue has come down by 70%. There are times when eating out something unknowlinly I take gleuten, then I become ill for a week.I am gynecologist by profession and since then I had been advicing all my patients complaining of aches here and there, joint pain, swelling over body and the response has been amazing.I have realize gluten is a culprit in almost all autoimmune disorders.I want to thank you for the report, it is only after reading that did i realize that food allergies can create havoc in ones life.